The north island at it's best. 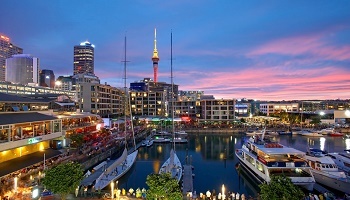 Explore Auckland, it's amazing harbor and islands and city life. 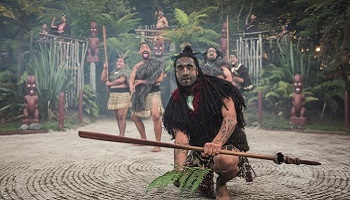 Head north to the bay of islands with it's warm weather, stunning coastline and en route stop and learn about the Maori and European history and how New Zealand become the country of today. 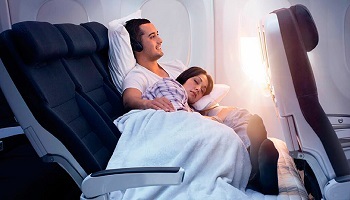 Visit Waipoua forest and the massive Kauri trees, Rotorua for geothermal attractions and finish at Napier, relax by the coast or sample one of the region's fine wines. 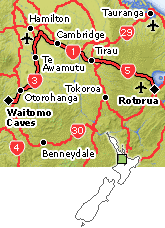 Collect rental vehicle and drive north to Bay of Islands. 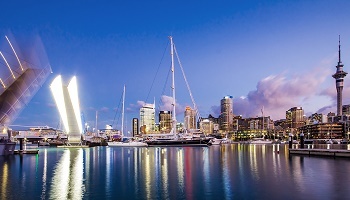 At the beginning of your journey, you’ll drive over the Auckland Harbour Bridge towards the bays and beaches of Auckland’s North Shore. 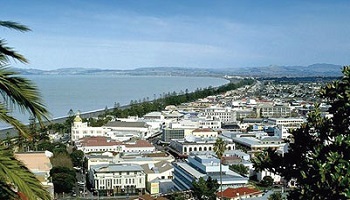 The town of Orewa spreads along the edge of a large, white sand surf beach. You can explore bush trails at the northern end of the town, visit the friendly shopping centre or dive into the waves for a refreshing swim. 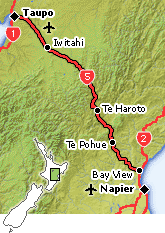 Driving north, you’ll pass Hatfield’s Beach before coming across Waiwera, which means ‘hot water’ in Maori. The hot springs are the main attraction in this small, seaside village. 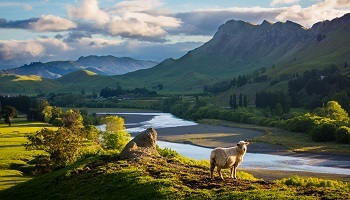 Enjoy native forest and farmland scenery all the way to Warkworth, a pretty town located on the banks of the Mahurangi River. A drive through the Dome Forest will lead you into the rural service town of Wellsford. 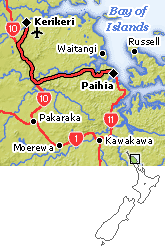 From here you can take a side trip to Pakiri - a great beach for surfing and horse treks. 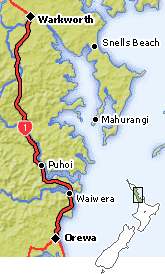 Whangarei is a subtropical city on the edge of a beautiful harbour. At the Quayside Town Basin complex you'll find stylish cafes and restaurants, as well as museums, art galleries and shops. Be sure to visit Whangarei Falls. A series of small settlements will lead you north. 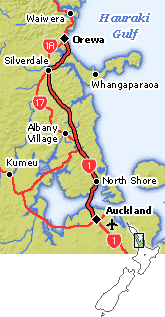 From here the road to the Bay of Islands becomes quite twisty, but you’ll enjoy some delightful scenery along the way. The resort town of Paihia makes an excellent base for exploring the Bay of Islands. Catch a cruise to the outer islands or a ferry to the charming township of Russell. 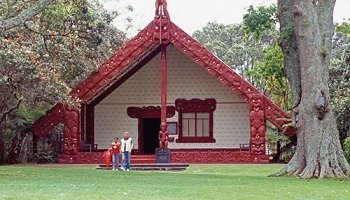 The historic Treaty House at Waitangi marks the beginning of New Zealand as a nation. 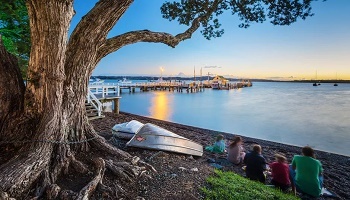 Stop at two of the islands in the bay, first for a short visit to either Roberton or Moturua Island, both of which offer stunning views of the Bay and beyond. 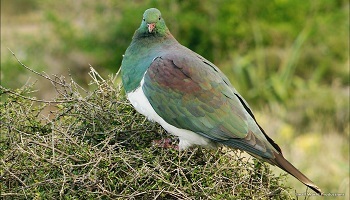 Next, stop off at the northern end of stunning Urupukapuka Island with its white sandy beaches, rolling hills and a sanctuary for native birdlife of all kinds. New walking tracks have made the island accessible to hikers of all abilities. 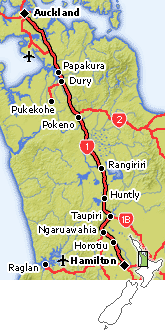 Enjoy a six-kilometre walk through amazing coastal scenery and remote beaches towards Otehei Bay. You will have plenty of time to soak up the views and swim in New Zealand's warmest water. Walking maps are provided. Encounter these intelligent and playful mammals in their natural environment. Get the Swim with the Dolphins experience in the warmest waters in New Zealand. Cruise picturesque islands while searching for dolphins. Once we find a pod of dolphins, Department of Conservation regulations will determine whether a swim is possible. Swimming is optional however you need to be a confident swimmer.The high speed catamaran is purpose built for dolphin watching and swimming and offers easy access to the water and ample viewing areas including observation decks and side opening windows. The road leading into Kerikeri is bordered by orchards. Roadside stalls offer the chance to buy seasonal fruit. 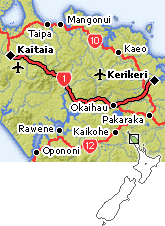 Kerikeri is a town of things to do. You’ll find galleries, cafes and vineyards, gourmet food shops, several golf courses and historic sites such as the Stone Store and the Mission House. There are superb bush walks in the area – Rainbow Falls is a perfect picnic spot. 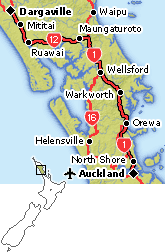 Scenic side trips on the road to Kaitaia include Matauri Bay (the resting place of the Rainbow Warrior) and Tauranga Bay. 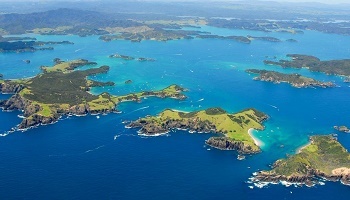 Nearby Whangaroa Harbour is a game fishing mecca. 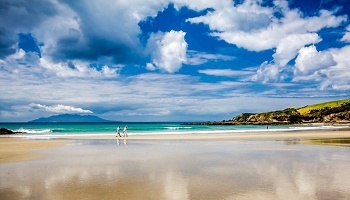 Further north, the beautiful beaches of Doubtless Bay will tempt you with white sand and crystal clear water. Sailing, sea kayaking, horse treks and golf are some of the other activities available in this district. If you have time, make the trip to the Cape Reinga lighthouse - then you can say you've been to the very top of New Zealand. The backcountry route to Dargaville takes you past the Herekino Forest, where you can stretch your legs on the Kaitaia Walkway. In Kohukohu you'll find some charming historic buildings. A vehicular ferry will carry you over the harbour to Rawene, a great stop for coffee and crafts. 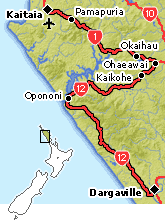 Further on is Opononi, where you can arrange to go sand dune surfing. 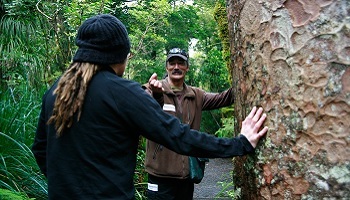 Your next adventure is the awesome Waipoua Forest, home of New Zealand's largest kauri trees. 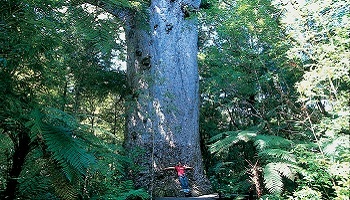 Travel across the river plain to Matakohe’s kauri museum, where you’ll discover the district’s fascinating history. In the village of Maungaturoto you can explore antique and craft shops. 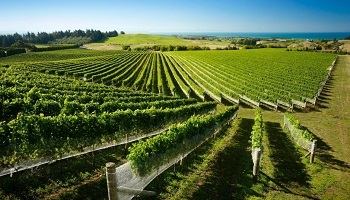 At Brynderwyn you’ll turn towards Kaiwaka, a village known for its Dutch cheese. 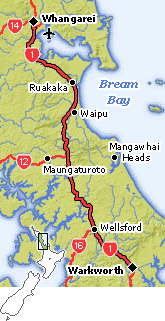 Further south is Wellsford, where you’ll take a right towards Helensville. 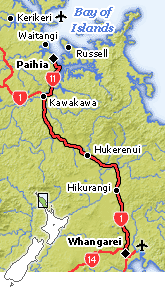 The hilly rural road provides amazing views of the Kaipara Harbour and surrounding farmland. 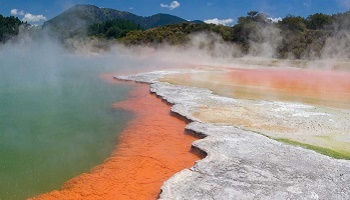 There are hot springs at Parakai if you have time to spare. 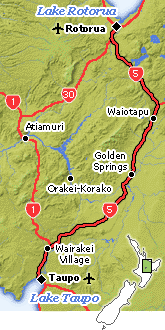 At Kumeu you’ll turn towards Waitakere, where you’ll embark on a beatiful scenic drive through the Waitakere Ranges. 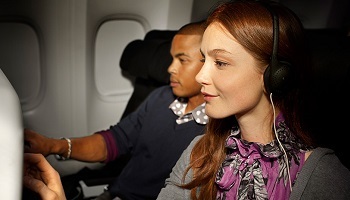 Auckland will reveal itself as you drive down from Titirangi village. 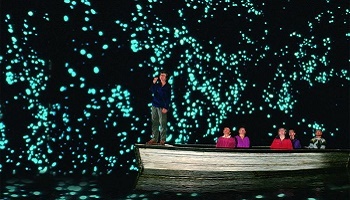 The Waitomo Caves region is famous for its subterranean splendour. 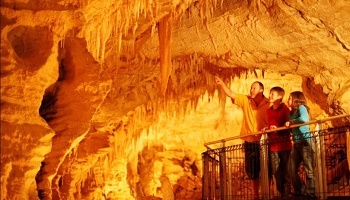 Beneath the surface of this ancient limestone region is a series of vast cave systems decorated with stalactites, stalagmites and glow-worms. Some caves open to the public, and are easy to walk through, others require specialised caving equipment. 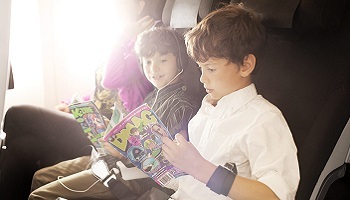 The road to Taupo will keep you entertained with its unusual, volcanic geography. 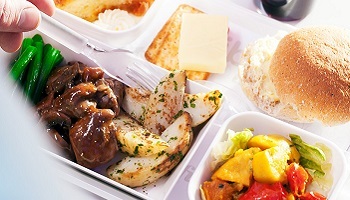 You’ll also drive through large tracts of plantation pine forest. Take a side road to a geothermal park, where you’ll discover geysers, silica terraces and craters of boiling mud. 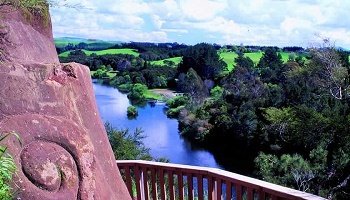 The resort town of Taupo sits on the edge of New Zealand’s largest lake, which is well stocked with sizeable trout.